This listing Is for an individual shelf, but these look great in sets of three as well. Share your love of reading with your children by keeping their books displayed and easy to access. 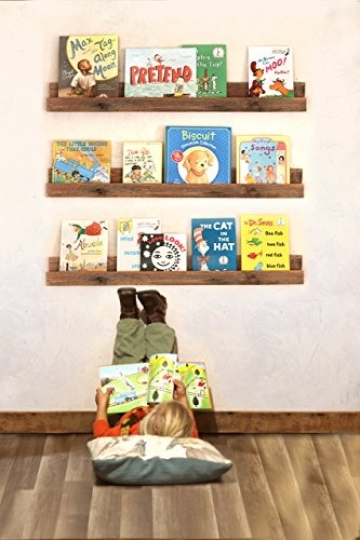 The shelves are made from reclaimed wood and will add character and charm to your kid's rooms. Comes with hanging hardware and instructions. Each shelf measure 36″ wide x 2.75″ deep x 4″ tall. This product is made from lumber salvaged from barns in rural Missouri. Due to the nature of barn wood, each item will have it's own unique characteristics. No two are quite the same!